Russian Deputy Foreign Minister Sergei Ryabkov reiterated that his country is determined to fulfill its commitment concerning delivery of the sophisticated S-300 air defense missile system to Tehran. “We would like to resolve the issue and to remove this problem from the agenda of Russia-Iran relations,” Ryabkov said at Russia Arms Expo-2013 in the Russian city of Nizhny Tagil on Thursday, voice of Russia reported. Earlier this month, Iranian Defense Minister Brigadier General Hossein Dehqan called on Russia to abide by an agreement signed between the two countries on the delivery of S-300 to Tehran. “Russians should believe themselves and don’t follow the US so much,” Dehqan said in an interview with Iran’s state-run channel. “They have signed a contract and they should come and implement it,” Dehqan added. Iran was initially interested in the S-300 missile complexes, signing in 2007 a contract worth $800 million for five missile defense systems of this make. Moscow has struggled to have the lawsuit dropped, including by offering the Tor anti-aircraft systems as replacement, media reported earlier this month, adding that the offer was rejected by Tehran. In a recent development, Moscow made a new attempt to dodge the $4bln lawsuit from Tehran by offering another type of air defense system to Iran. 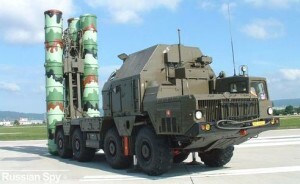 The new offer on the table is Antei-2500, AKA S-300VM, or SA-23 Gladiator in NATO nomenclature, the Kommersant Daily said, citing unnamed sources in the Russian arms trade industry. The missile defense system can simultaneously destroy up to 24 aircraft within the range of 200 kilometers or intercept up to 16 ballistic missiles. The deal can be formalized during the visit of outgoing President Ahmadinejad to Moscow, an unnamed Iranian diplomat told Kommersant. The Antei-2500, however, may be a better solution. The system does not formally fall under the existing sanctions against Iran while still being useful for the Middle-Eastern country. Russia is already exporting the Antei-2500, having delivered two missile systems to Venezuela earlier this year. India and Turkey were also named as potential buyers, though no deals were formalized so far, RIA Novosti reported.